A masonry project for a Bergen County residence. A flagstone patio situated off the back of a contemporary home is surrounded with stone planters, steps, built in bbq and plantings. 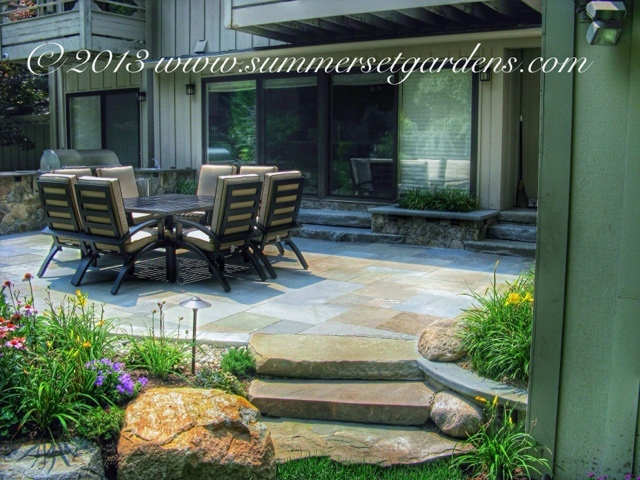 Landscape architecture and masonry construction services in the NJ and NY areas.